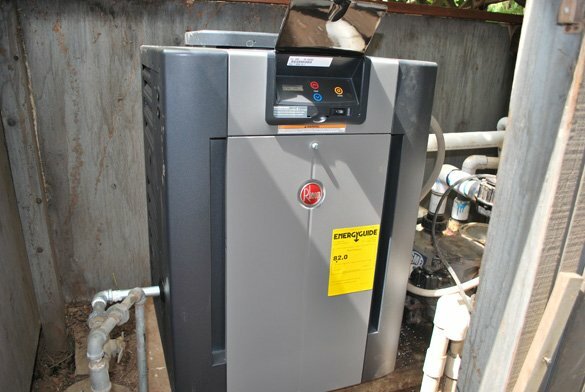 Our weekly hot tub service customer in Del Mar, CA, 92104 informed us that the water was no longer getting hot. We promptly scheduled a service call to look at the hot tub equipment to verify that the heating problem was caused by a faulty heater. 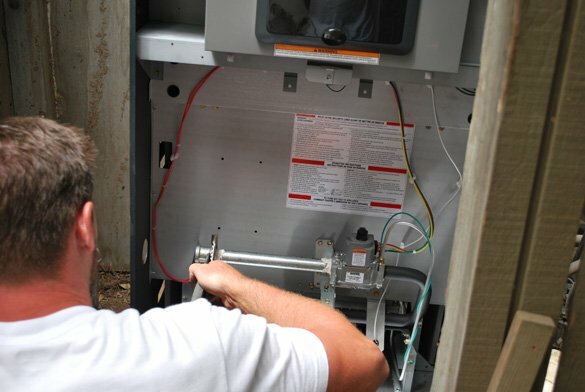 After inspecting the spa equipment and making sure the filter and pump were working properly our repair technician moved on to inspect the hot tub heater. 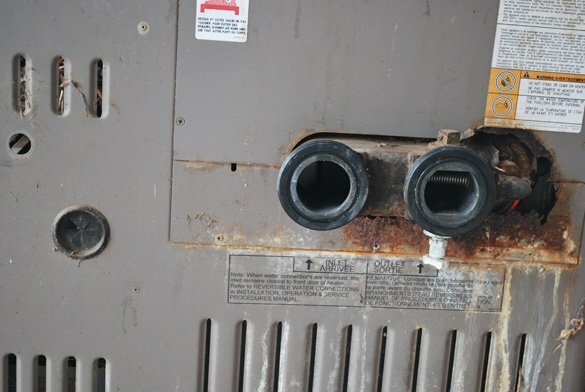 While troubleshooting the Hayward H-series H250 heater we discovered multiple problems with the heater including a leaking heat exchanger and rusted burner tray. The best course of action was to replace the entire heater rather than attempt to replace the faulty parts. We turned off the electricity to the hot tub equipment and disconnected the electrical, gas line and plumbing. 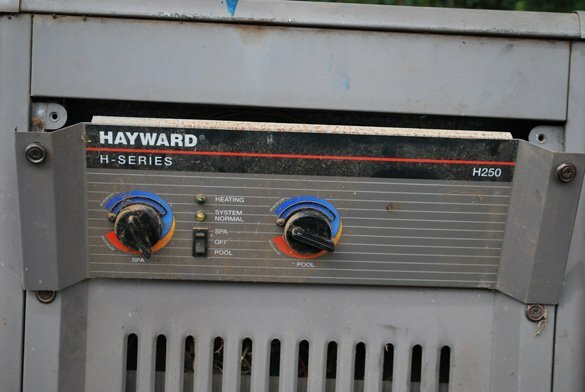 The Hayward H250 heater was then removed and recycled. After cleaning the equipment pad the Raypak 336A residential natural gas heater with polymer headers was put in place. The electrical wiring, hot tub plumbing and gas line were then reconnected. 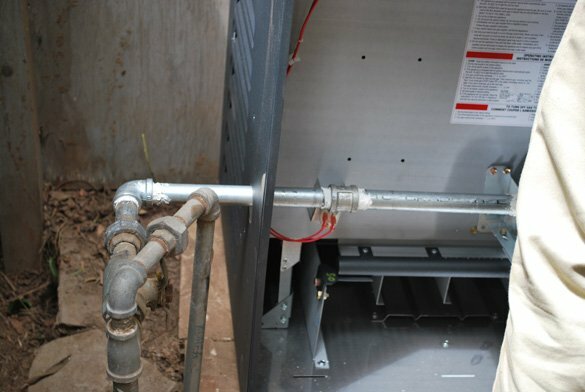 The new plumbing connections were allowed to fully dry. 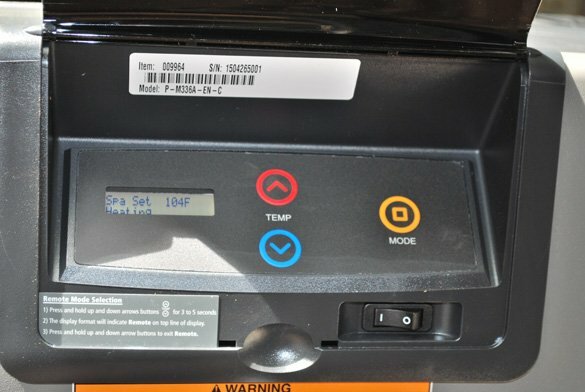 The heater was then turned and the gas pressure was adjusted. The homeowner was extremely happy to have a working heater again.